French language collection of devotional designs for church use. 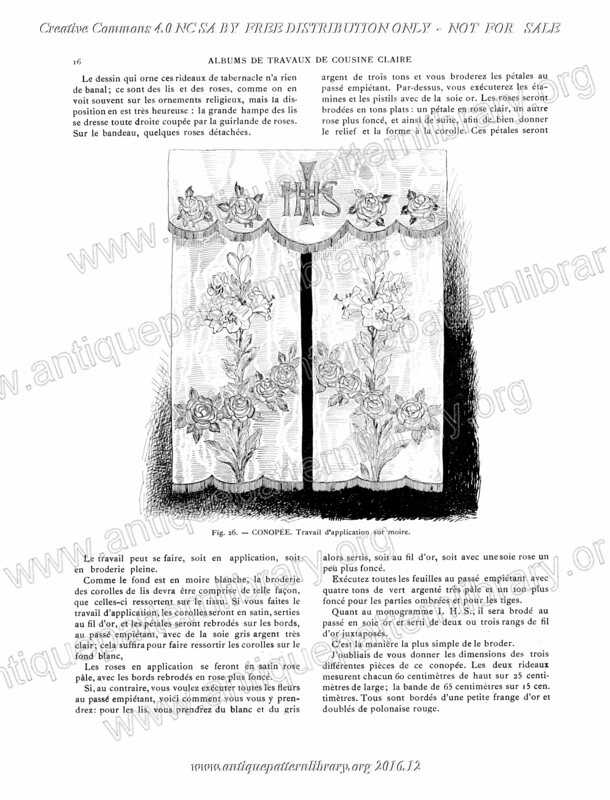 Photographs of many embroidery styles including whitework, multicolor surface stitching, darned net (filet), tape laces, needle laces, applique on machine made net, metal thread embroidery, and more. 26 pages, with descriptions of the work, but the pattern sheets missing. Scans donated by Sytske Wijnsma, transferred to Rijksmuseum Research Library 2018-11-02.